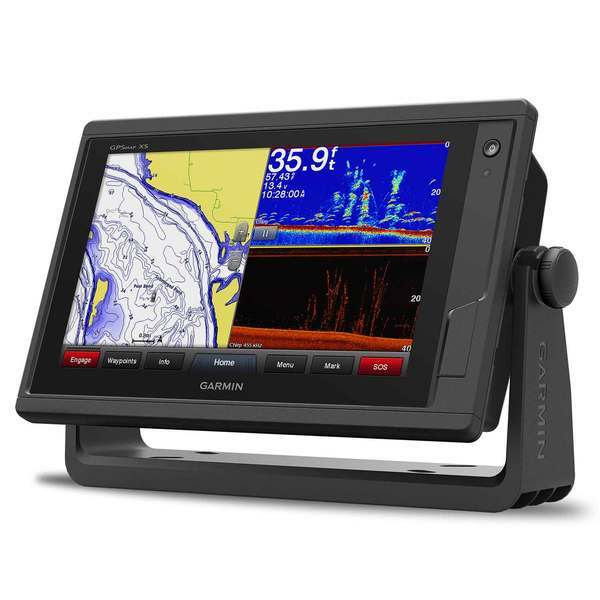 Full chartplotting capability, built-in Garmin CHIRP and CHIRP ClearVü sonar and much more in this 9” diagonal combo. Experience an advanced navigation solution when you use the compact GPSMAP® 942xs combo, with a sunlight-readable multi-touch touchscreen display. With built-in wireless connectivity for Garmin mobile apps and VIRB® action camera integration, you can stay connected to the newest media. Its 10Hz GPS/GLONASS receiver delivers smooth on-screen navigation. This compact plotter offers full-network compatibility for the Garmin Marine Network, which allows support for sharing sonar, maps, user data, radar, IP cameras and Panoptix all-seeing sonar among multiple units. Plus, there’s NMEA 2000 and NMEA 0183 support for autopilots, digital switching, weather, VHF, AIS and other sensors. Anglers, cruisers and sailors alike will benefit from the built-in 1kW traditional CHIRP sonar and CHIRP ClearVü scanning sonar capability (transducer sold separately) for a near-picture quality view of what’s beneath the boat. Preloaded premium mapping features both coastal and inland cartography, including BlueChart® g2 HD charts for the US, Canada and Bahamas and LakeVü HD maps.